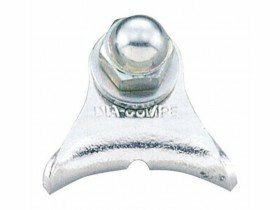 Dia Compe are a well regarded bicycle brake company and a sound source of traditional brake hangers and straddle bridges. 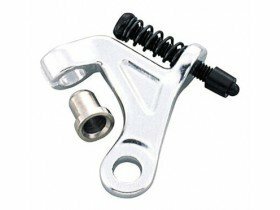 Guides your brake cable via the seatpin binder bolt to, for instance, a rear cantilever brake. Angle adjustment feature helps ensure the cable takes the most direct route to the brake. Available in 2 seat bolt sizes. Something to hang your straddle cable on.